Make your organization come alive on the Internet! Let InterGenerations create a permanent World Wide Web home page which reflects the value and quality of services you provide the Cape's older adult population. Our design team is seasoned in knowing how to make a home page unique, user friendly, and easy to access. Once your home page is created to your expressed satisfaction, InterGenerations will post the site within the directory. The benefit for posting within the InterGenerations directory is very clear; unlike other home pages which sit in cyberspace awaiting an arbitrary "hit," the Internet user who finds InterGenerations already knows what he or she is looking for. The user benefits not only from the information about your organization, but also from all the other educational and resource related material already in InterGenerations. An organization who posts their home pages in InterGenerations will be able to alert the Internet user to "come inside," and with a simple "click of the mouse," a person may tour your facility, receive information about the services you provide, and become linked in order to make direct contact with you. InterGenerations is able to scan your logo, assist in original graphic design, and not only post the photos you provide, but also make these photos come alive! E-mail InterGenerations at intergens@cox.net or call (401) 749-7088 for more information about home page services and how your organization could benefit from being on the Internet. and become a Sponsor of Intergenerations Today!! Intergenerations receives over 2000 user hits every day and becoming a sponsor is a very inexpensive way to broaden your organization's presence to consumers on the Internet. One way to become a sponsor is to link your organization's home page to Intergenerations or create an expanded listing. An expanded listing provides an organization listed in InterGenerations with more space to "expand" on how your organization services the needs of older adults. Expansion provides a larger color photograph, contact person, an e-mail link (if your organization has this capacity) as well as relevant printed material. The printed material may highlight the services you provide, include a mission statement or even incorporate a listing of specialized services. 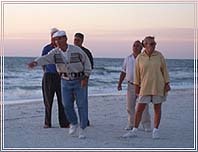 The services provided serve a population of individuals who may be over 65 years of age. The organization has an office or referral base located on Cape Cod, the Islands, Plymouth or Wareham, Massachusetts. The organization agrees to take responsibility to expedite a response to any referral or request for information that comes from a person utilizing InterGenerations. Your regular InterGenerations listing would also be highlighted, encouraging the Internet users to "click" their way into your unique Internet location. The cost of a listing is $14.95 per month or $149.00 per year. The organization is responsible for providing a 4" x 6" color photograph as well as any other information they would like to have appear on the Internet. InterGenerations requests that expanded listings follow the format provided below and is confined to one 8 1/2" x 11" page. Written text must be confined to a space no larger than 5" x 6." Organizations seeking more space or desire a format different from the example provided, may wish to consider the creation of an actual home page. Interested in an expanded listing? E-mail InterGenerations at intergens@cox.net or call (401) 749-7088 for more information. One page (the equivalent of two 8 1/2" x 11" pages) = one time charge of $95.00 (with two photos*) + a monthly subscription cost of $14.95. Two pages (the equivalent of four 8 1/2" x 11" pages) = one time charge of $165.00 (with four photos*) + a monthly subscription cost of $14.95. Three pages (the equivalent of six 8 1/2" x 11" pages) = one time charge of $245.00 (with six photos*) + a monthly subscription cost of $14.95. * Additional photos are $3.00 per scan. Following the completion of a home page(s), there is a $45.00 per hour charge for future changes; or a $60.00 per site per month charge to make unlimited changes at any time. Secondary Page - $160.00 per month per page provides exclusive sponsorship. Secondary pages include: Retirement communities, health care facilities, other services, elder resources, rehabilitation, community care options, home care providers and skilled nursing facilities. Other Pages - $80.00 per month per page provides exclusive sponsorship. Sponsor Your Local Senior Center! Show the immediate community that you care about older adults by sponsoring the home page creation of your local senior center or council on aging. Sponsorship of a senior center allows the center to have two home pages (equivalent to four 8 1/2" x 11" pages). The center may provide unlimited additions to their pages, posting events and services, and also as many photos as the site desires. Your organization will also receive a banner ad on each of the sponsored senior center pages which displays your support of the center. The cost of sponsorship for an annual period is $900.00 (which is less than $75.00 per month)! Contact InterGenerations at intergens@cox.net to arrange a meeting to discuss sponsoring a local senior center. InterGenerations will link your site from any of the sections of the directory for $14.95 per month, as long as the link fits the creative features, mission, and editorial requirements of InterGenerations.